It’s been a great year over here at the Deepblu office. Partnerships with some of the finest brands in diving, becoming the official dive log of several well-known organizations, and overall spreading the word about dive spots and getting in touch with our users all over the world. Everyone has been incredibly busy, and now it’s time to relax. Far and wide there are people spending holidays out on the oceans, let’s take a look at a few, let us know where you’ll be headed. 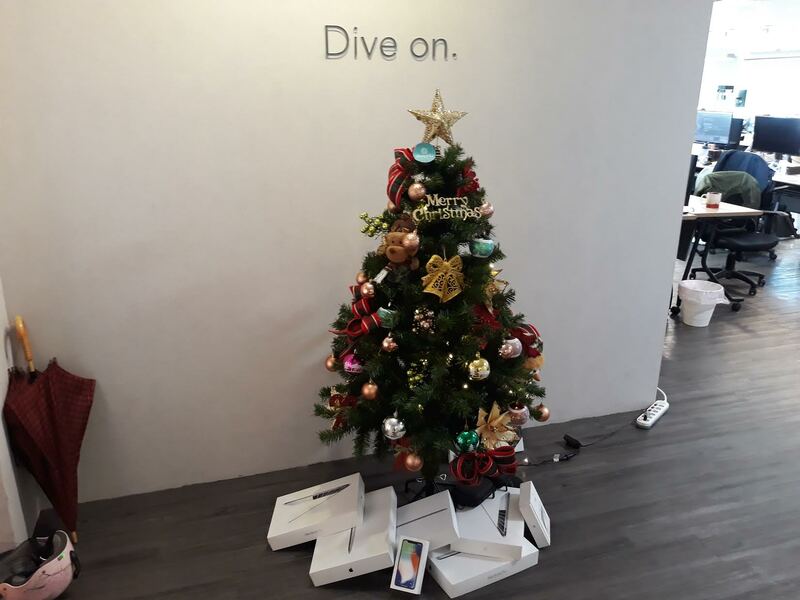 Happy holidays from all of us at Deepblu! We look forward to spending 2018 with you. 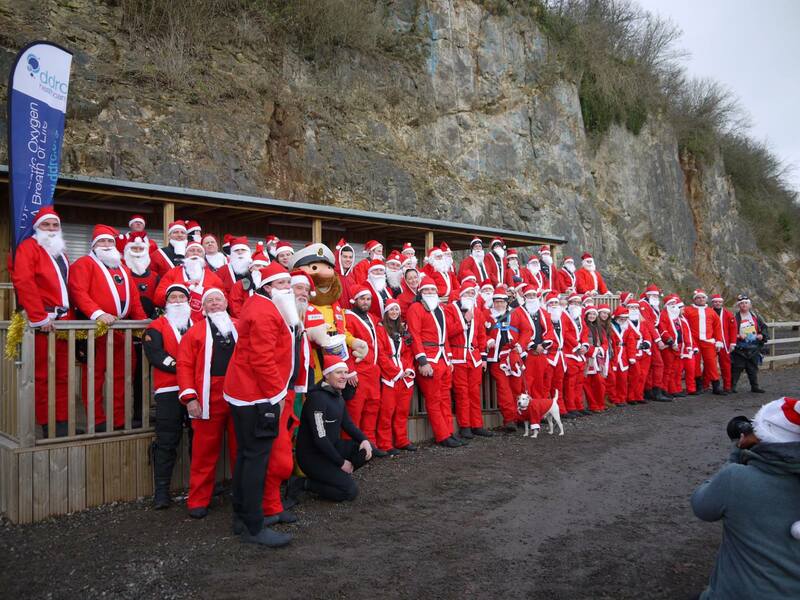 Since its inception, Scuba Santas has raised over £20,000 for dive medicine and lifeboat crews in the United Kingdom. 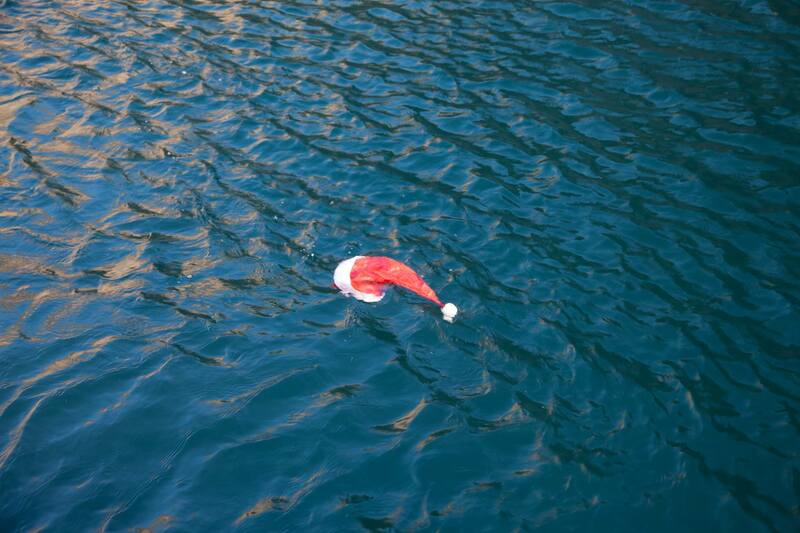 This organization uses the holiday spirit and diving combined as an opportunity to look out for the community around them. The original chapter has been around for over ten years, and as the word has spread through global diving communities, chapters have opened all over the world. It’s a great way to have fun and get in the giving spirit at the same time. Don’t worry, no Santas were harmed in the making of the event. Dive centers all over the planet have gatherings to combine everyone’s favorite things, gift giving (okay, receiving), and diving. Check your local area to see how you can combine the two. 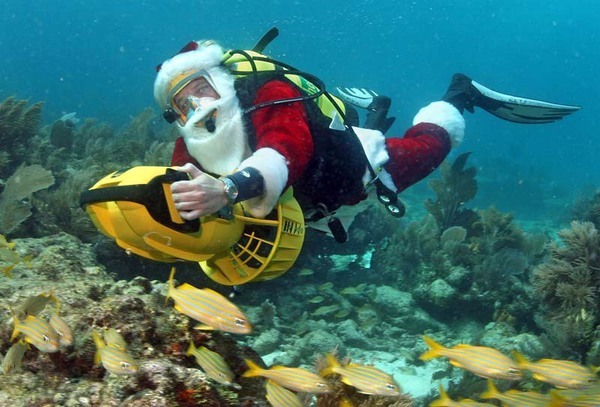 Whether it’s Christmas trees, cold water dives, or simply getting together for a few beers, there are probably some like-minded people in your area who are ready to have a few glasses of egg nog and become the best of dive buddies for a night. Yep, we went there. 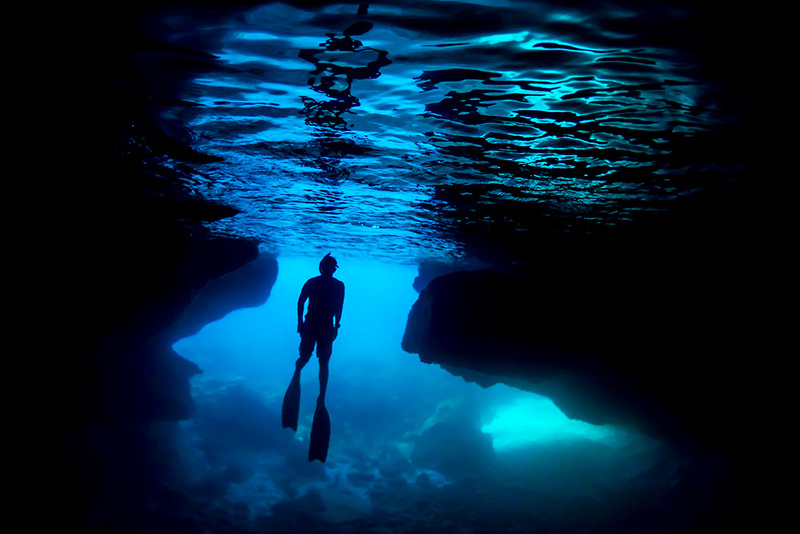 Have you ever thought about spending Christmas by diving in the calm waters off of Christmas Island? I mean, it’s in the name. This Australian territory is off the coast of Indonesia in the Southern Hemisphere, so while you won’t be getting a white Christmas, you will be experiencing some incredible diving in a warm climate. No parka required. Christmas Island boasts a wide array of wildlife, from the tiniest corals to the behemoth that is the whale shark. It’s accessible by a flight from anywhere nearby, but the adventurous can choose to take a liveaboard adventure or a quick cruise out to the island. We’re in the spirit. The tree went up the other day, it’s time for a nice holiday feast together, and then we’ll be getting back to work to deliver you the best diving experiences possible for the remainder of 2017, through 2018, and straight into the future. We look forward to seeing what the new year brings, and we’re happy to have you with us. 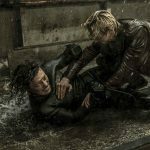 Dive on.